Thanks very much to Bobby and his gang who left home at midnight to make the long drive to fish with us! 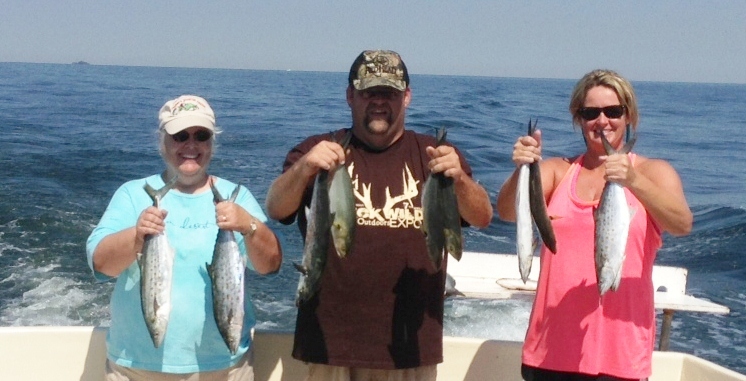 The weather was perfect and so was the fishing…limit of blues and a good catch of Spanish mackerel. And we appreciate Bobby buying a bag of our FAT ‘N HAPPY OYSTERS we raise to enjoy with his fish! Good folks…good fishing! Thank you fellas and look forward to fishing with you again next year! Lines in…100 yards later…all rods down…cobia and red drum! Tom and his gang had a great start to his trip and we were lucky enough to hit the red drum again before we moved on to shark fishing. While chumming for sharks we hooked up another cobia and had him along side the boat, stuck the gaff in, but he leaped off the gaff, broke the line and swam away. Brought back a good catch of shark and blues. 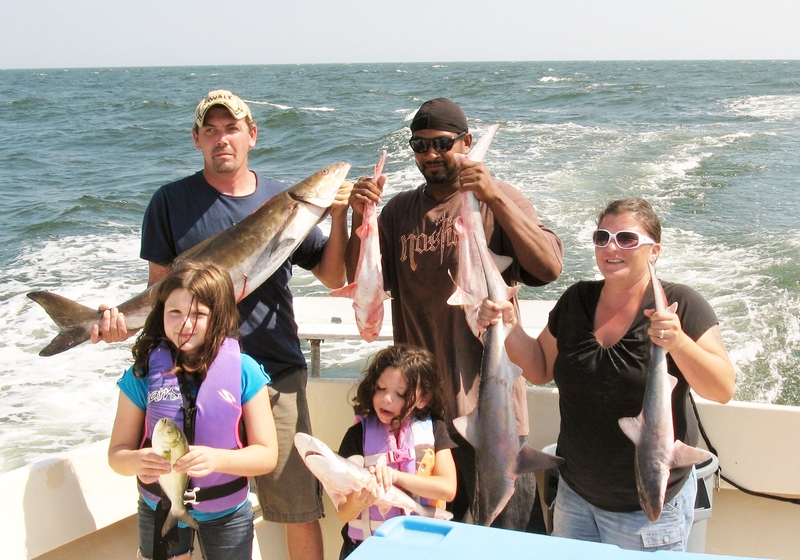 By the way, the cobia pictured is 48 ” long. Appreciate the trip Tom! Glad to have Rick bring his family for a picture perfect day on the Bay. 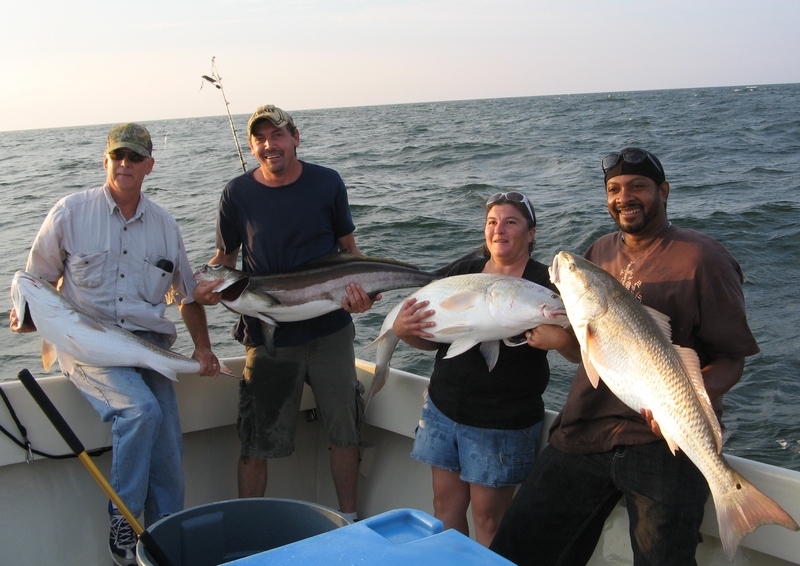 A great catch of Spanish mackerel and blue fish! Great being with the whold Hammond family and look forward to seeing you soon. Appreciate your business!